Why is soil testing important? Soil testing is an important step in determining what vegetables will grow best for you. It will also give you an indication in what is needed to improve your soil fertility and soil structure. There are fairly inexpensive soil test kits found in most nurseries. I find these tests very subject to personal interpretation. If you are a first time gardener this can be a starting point in getting a general idea of what your soil pH and fertility is. For a more accurate and scientific approach send a soil sample to a soil testing laboratory in your area. This will cost more money however the results will give you more accurate and detailed information on your garden soil. What information will you get from soil testing? It will tell you what your soil pH is as well as any basic nutrient deficiencies your soil may have such as nitrogen, phosphorus, potassium and calcium. This is a numerical symbol that tells how much acid or alkaline is in your soil. The pH scale range is zero (which is acidic) to 14 (which is alkaline) with 7 being neutral. Most vegetables grow best between 6 and 7, which is slightly acidic. If soil is too acidic it will be infertile; if too alkaline the soil becomes toxic and will poison plants. Areas with lots of rainfall likely have acidic soil as rain tends to wash away calcium and magnesium as well as other nutrients. Areas with less rain are usually more alkaline. Lime is used to increase the pH if you have acidic soil. There are two basic types of lime - agricultural lime which only contains calcium and dolomite lime which contains both calcium and magnesium. Most home gardeners can usually use either; dolomite is often cheaper and more accessible. An in depth soil test will tell you if your soil already has optimum magnesium and if it does it would be best to use the agricultural lime. How much do you add in? These are approximate amounts to raise the pH by 1 point. 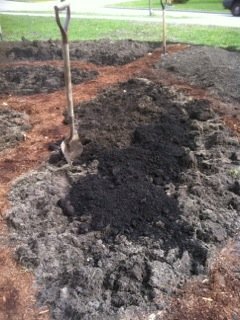 To correct soil that is too alkaline you will need to add powdered sulfur. How much do you add in? These are approximate amounts to lower the pH by 1 point. Here is more information on the above types of soil. Both lime and sulfur are considered soil conditioners. 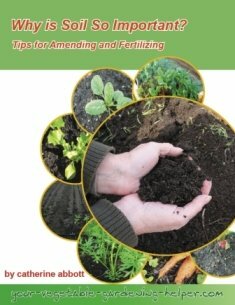 It is important to add either separately from soil fertilizers; a few weeks to a month before is best. When adding lime and sulfur to your garden beds make sure you rake it evenly into the soil. 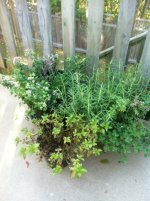 If your soil is extremely acidic or alkaline make an application in the spring and another one in the fall so as not to give the soil too much all at once. It can take a few seasons to get to the optimum number you want. If your soil has nutrient deficiencies, you will need to add in different types and amounts of soil fertilizers to improve your soil fertility.